Sudan’s Bushra al-Fadil Is the Caine Prize 2017 winner for his story The Story of the Girl Whose Birds Flew Away. The announcement was made in London, UK on July 3rd, 2017. The Caine Prize for African Writing is an annual literary award for the best original short story by an African writer published in the English language worth £10,000 to its winner. The prize, founded in 2000, was named in memory of Sir Michael Harris Caine the former Chairman of Booker Group plc. The prize has shone a light on writing from the continent with some of its best writers going home with what has become a coveted prize. They include Leila Aboulela who was its first winner and go on to names like Helon Habila, Binyavanga Wainaina, Yvonne Adhiambo Owuor, Noviolet Bulawayo, Tope Folarin, Okwiri Oduor, Namwali Serpell to last year’s winner Lidudumalingani Mqombothi. As you can see from this list it is a veritable who’s who of the African literary scene. 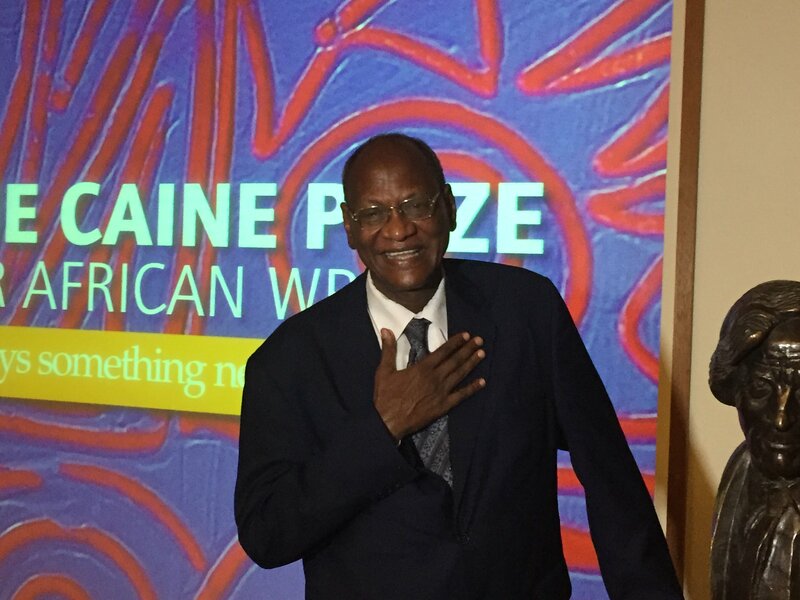 This year those who were in the running for the Caine Prize, those who made the shortlist, were Magogodi oaMphela Makhene, Lesley Nneka Arimah, Chikodili Emelumadu, Bushra al-Fadil, and Arinze Ifeakandu. The writers were selecting judging panel chaired by award winning author, poet and, editor Nii Ayikwei Parkes and supported by Monica Arac de Nyeko, Professor Ricardo Ortiz, Ghazi Gheblawi, and Dr Ranka Primorac. The evening started with a keynote address from Nigerian author Ben Okri before the chair of the judges went on stage and announced the winner. This year the prize would be going to Bushra al-Fadil who would be the second Sudanese writer to go home with the prize after Leila Aboulela who was the first winner as earlier mentioned. The story which was translated from Arabic to English by Max Smookler is first to win the much sought after prize. As a translated story, the prize money will be split – with £7,000 going to Bushra and £3,000 to the translator, Max Shmookler. “The Story of the Girl Whose Birds Flew Away” vividly describes life in a bustling market through the eyes of the narrator, who becomes entranced by a beautiful woman he sees there one day. After a series of brief encounters, tragedy unexpectedly befalls the woman and her young female companion.